FTS is Exhibiting at the World’s Largest Meteorological Event - FTS Inc.
FTS is excited to be back exhibiting at the Meteorological Technology World Expo. This event is the place to be if you are looking for innovative weather forecasting and climate change technologies and services. It brings over 4,000 decisions makers from across the world from many industries including: environmental monitoring, aviation, shipping, marine/port, airports, military, farming, research and more. If you are attending, be sure to check out a special presentation on Tuesday, Oct. 10 at 11:00 am. FTS’ own Zoe Fyfe will be delivering a talk on a practical application of IoT in hydrology! Additionally, Alan DeCiantis, Director of Product will be moderating the Measurement and Technology conference track on day 1. 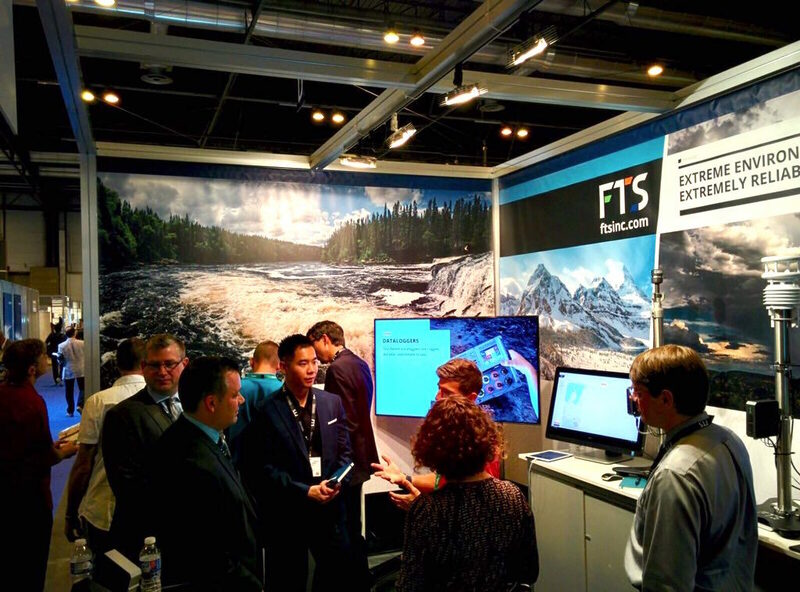 Visit FTS at booth #5065 to learn about how our environmental monitoring solutions enable elevated decision making through the power of IoT. Featured will be the our new FTS Bubbler, LT1 EUMETSAT/GOES and RAOS. We look forward to seeing you!